We celebrate Earth Day every year on April 22nd. 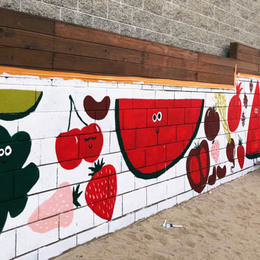 With events held worldwide in support of environmental protection that range from fairs to environmental education, Earth Day is an easy and fun way to get involved supporting the natural beauty all around us. In fact, Dunn-Edwards will be participating in a number of local Earth Day festivities all around the west. This includes events like Earth Day in Whittier, Calif. on Saturday April 14. Visit us here for a full list of Dunn-Edwards’ Earth Day events and hope you can join us at an Earth Day event near you. We couldn’t help but be inspired by Earth’s colors. 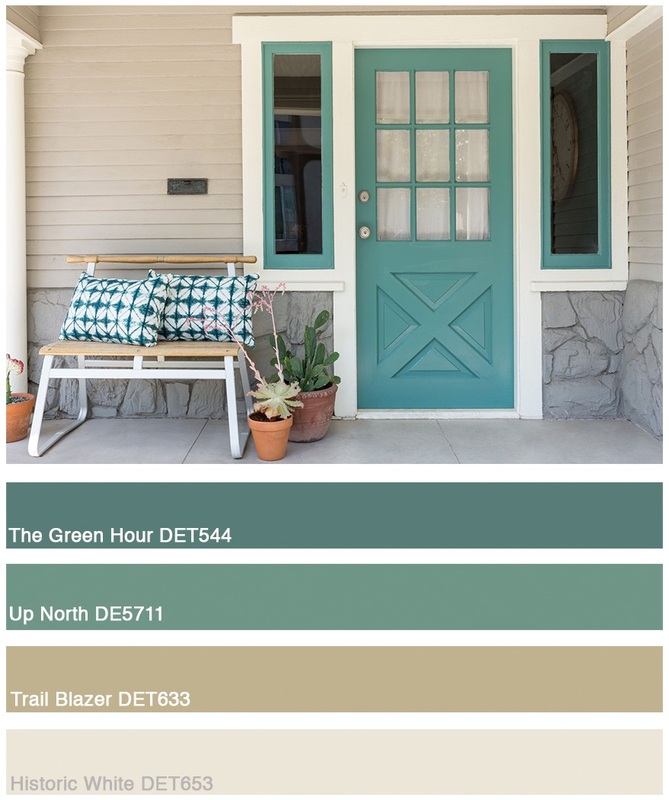 So, in anticipation of Earth Day, we’ve come up with four earth-inspired palettes that will help keep your indoor and outdoor spaces feeling as green and serene as mother nature herself. First up, an earth-toned palette using Dunn-Edwards’ 2018 Color of the year, The Green Hour, as our focal point. This gray blue-green shade adds the perfectly balanced pop of color to an otherwise neutral palette. It catches your eye, is welcoming, and pairs well with Up North (DE5711), and neutrals such as, Trail Blazer (DET633) and Historic White (DET653). This next palette is soft yet bold. We built this palette around the green tone of Midnight Spruce (DE6294). The lighter colors in this palette contrast beautifully against the deep green hue. 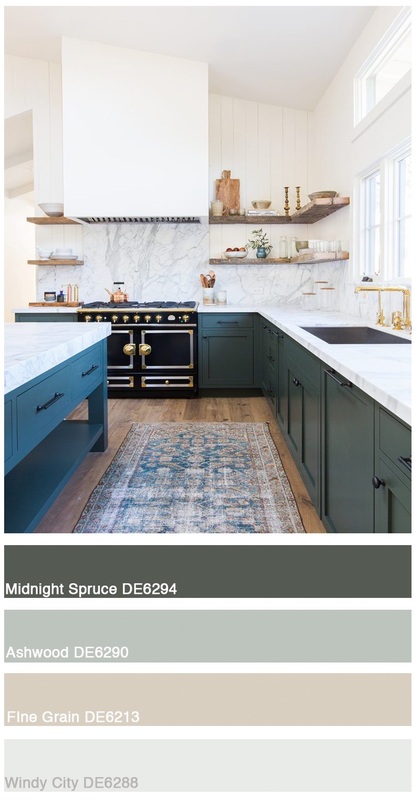 Midnight Spruce adds high drama while at the same time, is softened by cool neutral hues like Ashwood (DE6290) and Windy City (DE6288), and also Fine Grain (DE6213). This palette is great for creating space that feels clean, refreshing and unique. 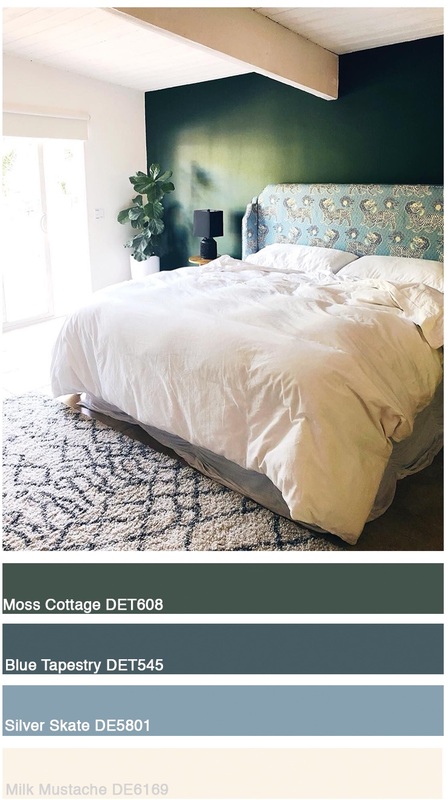 The dark green trend continues with a palette built around Moss Cottage (DET608). This paint color adds depth to a room and visually expands a space. Make sure to have sufficient lighting whether it be natural, like the picture above, or artificial with table and floor lamps. Deep greens pair well with blue hues like Blue Tapestry (DET545), Silver Skate (DE5801) and ceiling and trim painted in Milk Mustache (DE6169). 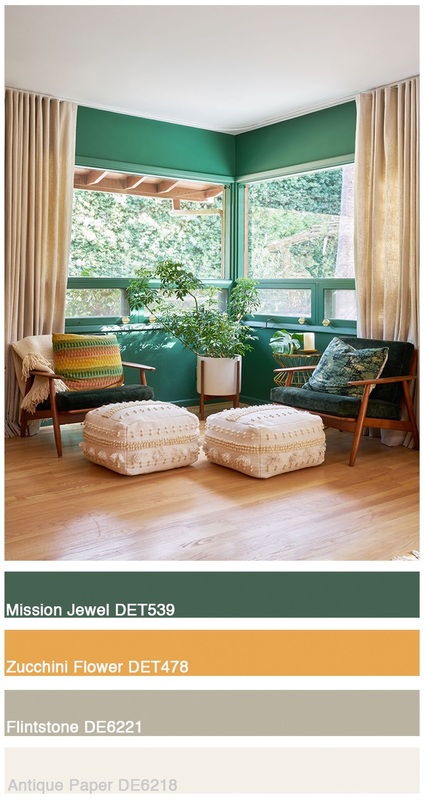 Last but not least, is our Earth Day palette featuring a bright, jade-like green called Mission Jewel (DET539). 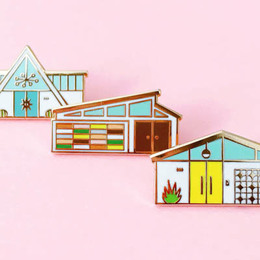 Mission Jewel is vibrant and unapologetic. 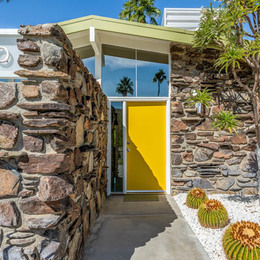 This color is perfect for those creating a space whose personality is as bold as their own, whether that be a boho aesthetic (as seen below), or an Art Deco-influenced one. Coupling this color green with another bright color accent like Zucchini Flower (DET478) keeps the space looking cohesive. Don’t forget to incorporate a few neutrals like Flintstone (DE6221) and Antique Paper (DE6218), to give the eye a resting place. At Dunn-Edwards Paints, our interest in the environment extends from Earth Day and beyond. In fact, Dunn-Edwards Paints has led the charge in creating environmentally conscious paint products because we’re looking not only to leave a green legacy, but provide a green future for our customers, as well. Learn more about our VOC-Free and EG-Free paints here. Dunn-Edwards paint colors are composed of the highest-quality paint trusted by both design experts and painting professionals. We are committed to bringing you the freshest paint colors for commercial, residential, and exterior uses. 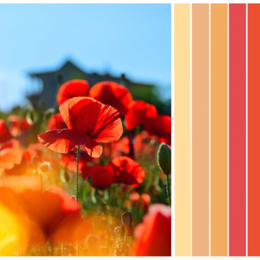 To try these earth inspired palettes in your space, download our InstaColor ® app. All you have to do is upload a picture of your own or choose one from our library to give your space an instant paint job.